Our society is built upon the work of the inventive makers who lived before us. In this semi-regular feature we’re going to examine how certain technologies were made in the past and see what lessons we can learn from them. The book is an amazing piece of technology. It stores information in a portable, easy-to-use format that can last for hundreds (if not thousands) of years in the right condition. 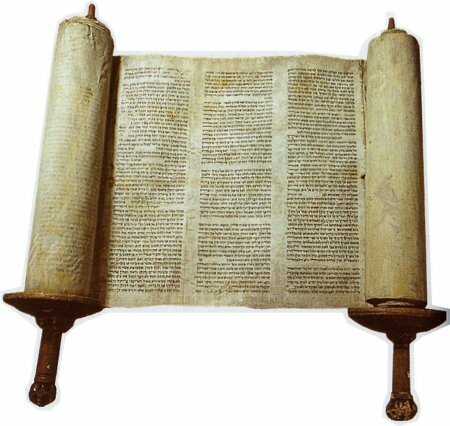 Before the book (or as book-historians would call it, “the codex”) was invented, the scroll was the primary technology used to store the written word. These scrolls were often made from sheets of papyrus (an aquatic reed) – if you wanted to read from a scroll, you would roll the pages from the beginning of the text to the end. If, for example, you wanted to check something on page 32 of the scroll, you would have to roll through all the pages that came before it. 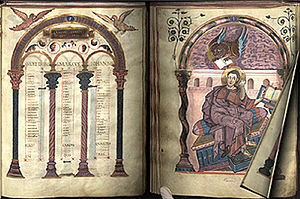 Starting around the 5th Century CE historians start to see examples of the codex emerge. One of the main technological advantages of the codex is that it allows users to search for information faster than in a scroll. Instead of having to move linearly through the entire scroll to find a specific passage, users could open a codex to any page of their choosing. While the earliest codices were seen in the 5th Century, the book as we know it today was born in the Middle Ages. Early codices lacked many of the features that we now associate with books – things like page numbers, title pages, author credits, and even spacing between words were not found in early books. Until the invention of the moveable type printing press in the 16th Century CE, nearly all books were made entirely by hand. Every page, every drawing, and every letter had to be individually crafted by a book maker. 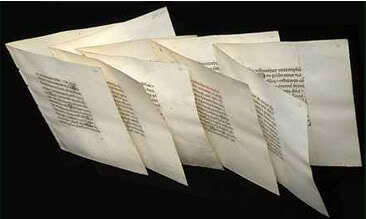 For most of the Middle Ages animal hide (called parchment or vellum) was used to make the pages of books. Animal skins (generally cow, goat, or sheep) would taken to an artisan called a tanner who would remove its hair and fat and begin the long process of preparing it for writing. The BBC has produced an excellent video showing how parchment is made. Once the hide had been cleaned and dried it could be cut into sheets and sold to book makers. Book makers would then fold and cut these larger sheets into smaller groupings of pages called quires – each quire generally contained either 4, 6, or 8 pages (called folia). 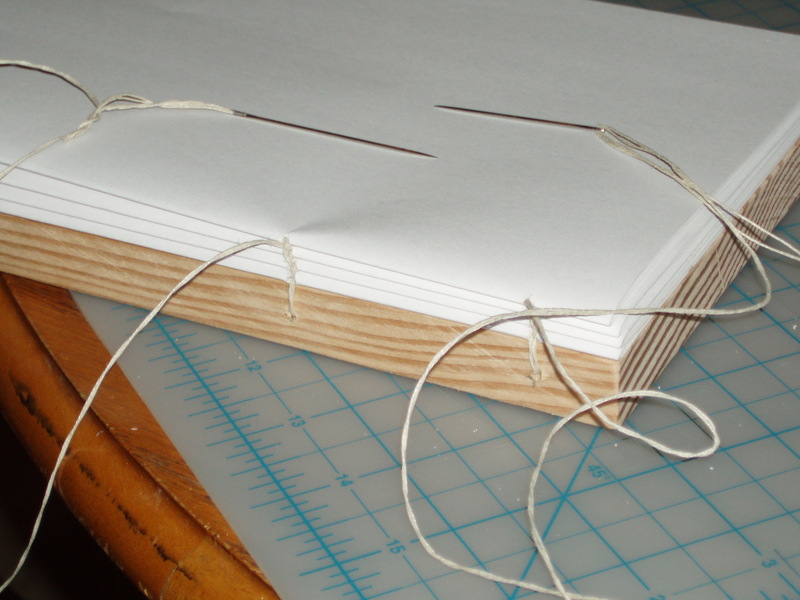 Groups of quires would then been sewn together to form the body of the book. In the Middle Ages it was also common to use pieces of wood to make the front and back cover of the book. These wooden covers could then be decorated with a number of materials ranging from leather, to gold, to jewels. This is a very quick overview of how book were made in the Middle Ages, to learn more about this fascinating subject, visit this article by the JP Getty Museum about making a medieval book. At our upcoming TD Summer Reading Program library visits we’ll be showing book lovers how to make their own books in the style of medieval books. Stop by, learn how to make a book, and chat with the MakerBus’s resident medievalist Ryan Hunt. A calendar of our stops can be found on our Facebook page.